Founded in 1998, ONNTO Corporation is a leading provider of cost-performance niche technology and networking solutions for PC and Mac users. Proven manufacturing & production management excellence make us an ideal choice for strategic alliances, ODM, Private Label and distributor business. Six guiding principles chart our product and business development course. Our primary concern is Customer Satisfaction. We strive to ensure customer satisfaction through user-oriented product designs, and commitment to total quality management. We believe that "Knowledge is Power". Knowledge management and collaboration at all levels allows us to better anticipate customer needs. ONNTO seeks not only to create affordable, high-quality products, but to also improve the overall quality of life for users and customers. We strive to offer human-friendly products that adapt to user needs and operate with simplicity. Commitment to clear communication benefits our customers by anticipating customer needs and delivering valuable solutions at every level of the value chain. Maintaining a tight focus on select technology solutions allows us the flexibility to react to market demands and capitalize on emerging opportunities. Our adherence to Total Quality Management (TQM) encompasses all aspects of the business experience. We seek to provide an environment that inspires not only our employees to achieve greatness, but our suppliers, vendors, partners and customers as well. 1. Develop and expand the niche product base for mainstream markets. 2. 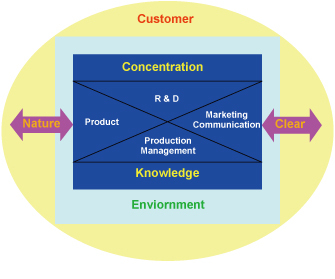 Develop "whole products" and increase product portfolio to meet niche market demands. 3. Leverage design competency to develop additional new and innovative products. For OEM/ODM or Distributor information, please complete the Inquiry Form located on the "Distributor Wanted" page. For general requests about Onnto or comments about our website please contact us at following address. For your interest to be carrying DataTale, SATAPro, DataWhale series products, please go to Data Watch Technologies Co., Ltd.